Explore Old Delhi, once the home of Mughals and now the heart of India, in all its glory on a bicycle tour curated by Delhi veterans. From the bike saddle we will observe the capital city waking up to its chaos and tripping you into its transcendental history. All delivered in an amusing storified format that will leave you awe stuck sometimes and in laughter at times! 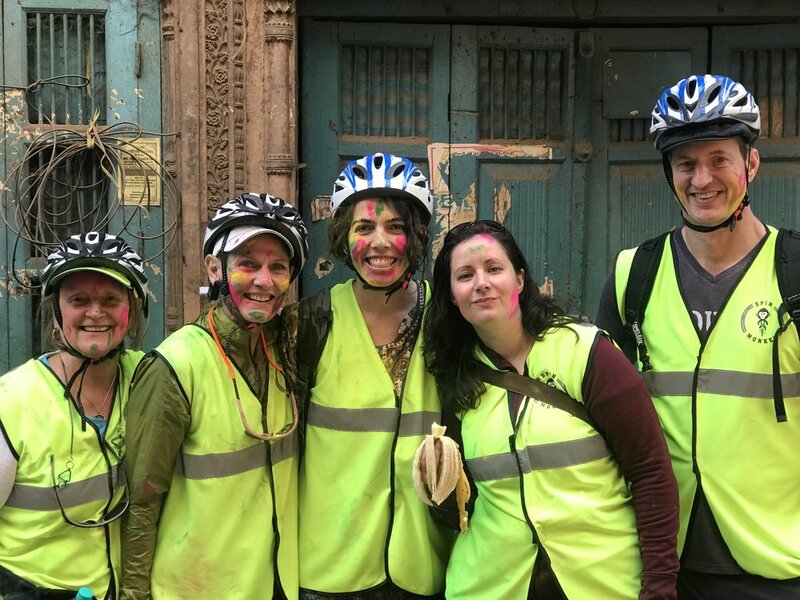 We will cycle through the narrow lanes of Old Delhi & see more than on foot discovering unimaginably narrow streets, hidden corners and historic monuments (Lal Quila, Chandni Chowk, Jama Masjid, fatehpuri masjid and many more). The experience will culminate over a nice breakfast, new friendships and stories to take home. Take the tour and experience the city of Delhi with all your senses. We've spent many hours cycling around town, to see and pick the best places for you. We'll start showing you around as the city is waking up. You also get to visit famous and historic monuments like the Sikh temple where you'd get to experience their unique culture. You will also get to see how they are helping the local community. The highlight of the tour is definitely the Spice Market terrace (SpinMonkey's secret terrace), which has a phenomenal view. This 4 hour journey will give you guided tour of Old Delhi as you pedal around. We believe biking is the best way to explore. We end the tour with a sumptuous breakfast with a wide variety of options where you get a flavor of the various cuisines from different parts of India.